This is a round Magnolia Petroleum Company porcelain sign. This particular Magnolia Petroleum Company sign is red and blue with white text. 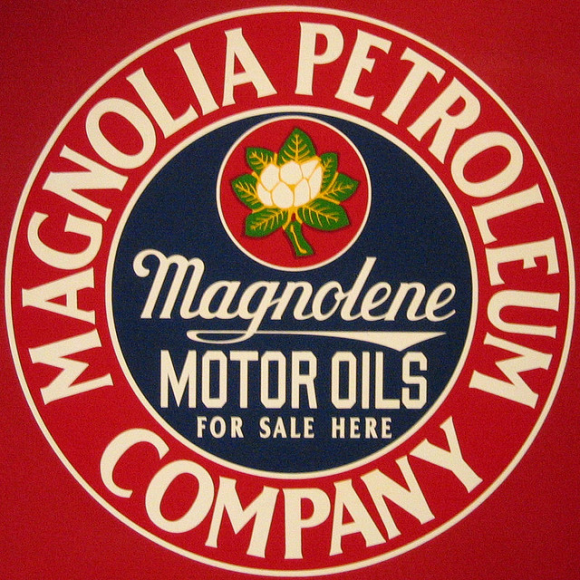 It reads, “Magnolia Petroleum Company, Magnolene Motor Oils For Sale Here” and features a white magnolia flower at the top.